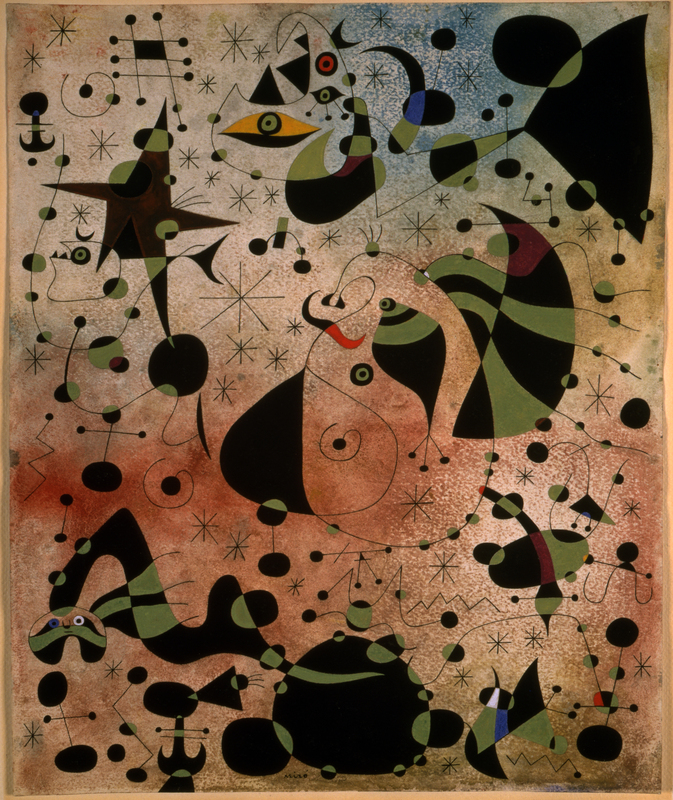 Regarded as one of Henri Rousseau’s most significant works, The Snake Charmer demonstrates why this self-taught artist was so highly admired during his lifetime by the pioneers of 20th- century painting, including Pablo Picasso, Robert Delaunay, and Vasily Kandinsky. This visionary artist who worked as a customs agent (douanier) on the outskirts of Paris (he was famously nicknamed Le Douanier Rousseau) was known especially for his depictions of dreamlike jungles filled with plant and animal life. These highly detailed, imaginary scenes were informed not by any firsthand experiences of exotic locations, but by the artist’s frequent visits to the Paris zoo and botanical gardens and from illustrated magazines. 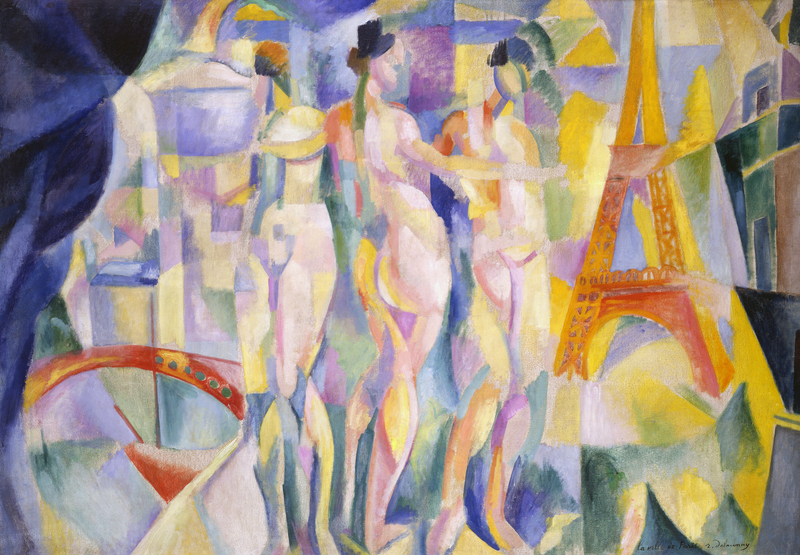 Commissioned by artist Robert Delaunay’s mother, Berthe ‘Comtesse’ de Delaunay, The Snake Charmer features a mysterious figure standing quietly in a lush jungle as she charms a transfixed snake. The subject was supposedly based on stories of the Comtesse’s experiences in the West Indies. 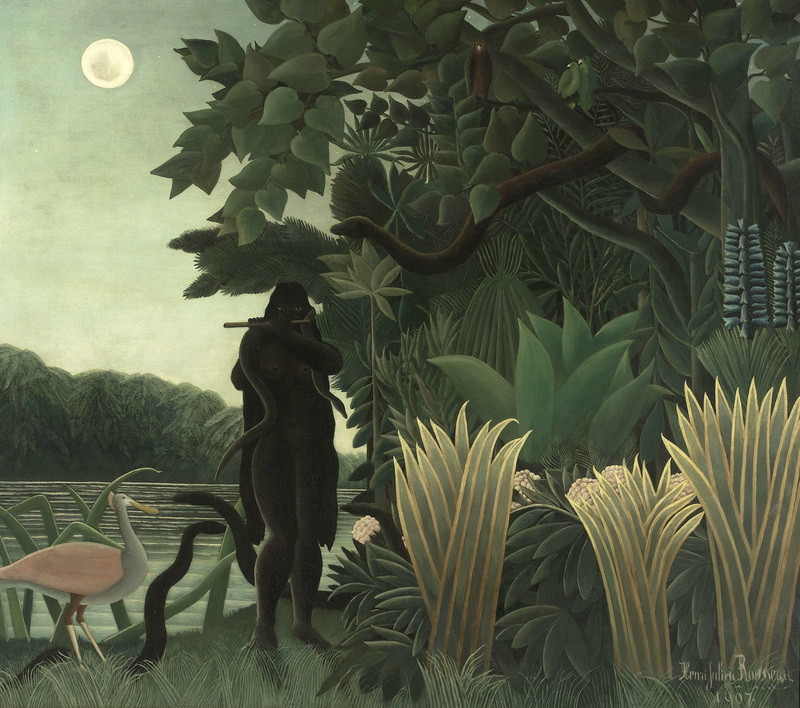 Rousseau’s puzzling narrative and its otherworldly mood, though mocked by the critics, was an immediate hit among the young avant-garde artists of Paris when first exhibited in 1907. Artists were drawn to Rousseau’s poetic vision and direct, ‘untutored’ stylistic approach, exemplified here by backlit, bright colors, precise drawing, and an innovative, asymmetrical composition. 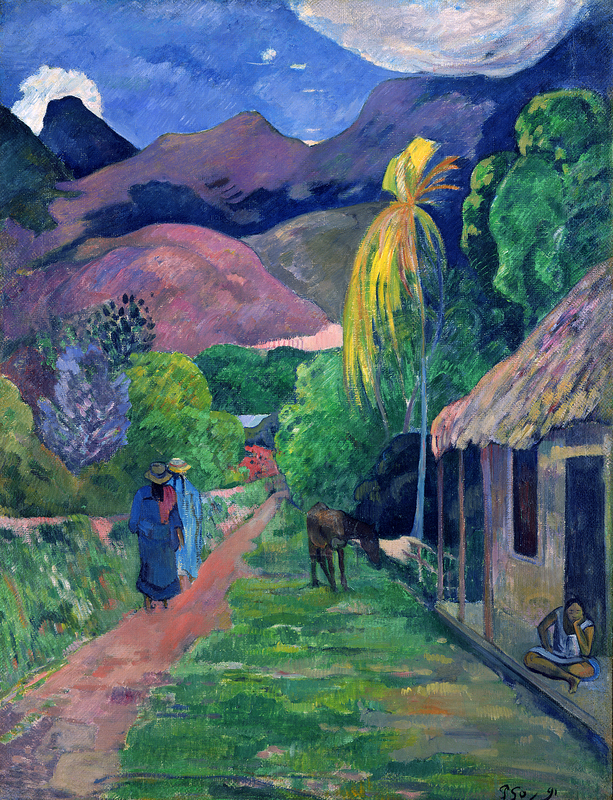 The tropical fantasy gained cult status upon the artist’s death in 1910 and paved the way for creative experiment at a time when artists were seeking new models for inspiration outside of Western, academic art traditions.